Manhattan College’s new basketball court will be about as green as a basketball court can get. The school released images of Draddy Gymnasium’s new court design Monday. The only part of the floor that features a traditional hardwood color is inside the three-point arc. 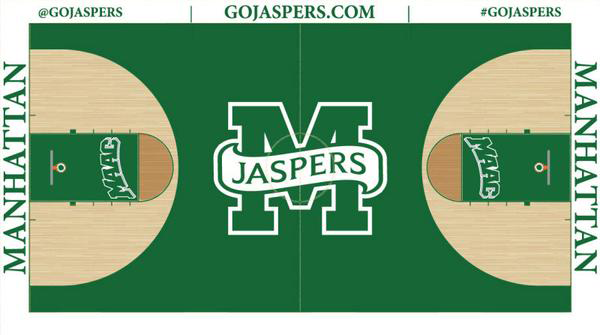 All parts of the court that are out-of-bounds will be painted white, with the Jaspers’ website, Twitter handle, hashtag and school name written in green. Manhattan is 34-13 at home the last four years under Masiello. The design, sanding and repainting work will be done by Prater Industries.